Boht say log hain Jo Facebook ki security k baray me fikar mand rehtay hain. Straightly Facebook Security Question ko change karnay ka koi method nahi hy na hi koi option hy, agar kisi nay ap ka security question change kar diya to samjho aap ka account hack ho gaya..
1: Login honay say pehlay Forgot Password pay click karein then apni Facebook id likhein. 2: Select your profile and Click Reset My Password Button. Select your Recovery Email Addresses. 3: Yahan say aap apna security question select karein. 5: Basicaly facebook say 2 emails aaein gi, 1 Email Reset Password ke liye & 2nd sirf ap ko notify karne ke liye ke ap k account ko check kiya ja raha hy. you recover it. This is normal. You dont have to be panic anyways. 7: Temporary locked honay ke baad ap ko ap ke old pc jahan say ap last time login hoay thay wahan say Confirmation mangay ga k ap us pc say log in hoon gay to hi ap ki id open ho gi. ye 1 kisam ka IP trace hota hy jahan say ap lagatar apni facebook id use kar rahay hain. 8: Once you successfully confirm your identity. 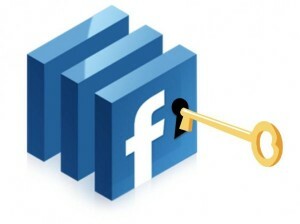 Facebook will let you change your secret question and recovery email addresses. wesay bhi kaafi security tips hain facebook profile security k liye magar after hack your email jab hacker ap ki id open karta hy to ap ka security question us k liye Question Mark ban jata hy. is liye ye ik ehm issue hy facebook profile ko secure karna k liye. All tricks in this Website are only for educational purpose. Learn these tricks only for your knowledge. Please donot try these to harm any one. We will not take any responsibility in any case.